With less than a day to go in the Vendée Globe, it appears Armel Le Cléac&apos;h aboard Banque Populaire VIII will successfully fend off the recent challenge by British sailor Alex Thomson aboard Hugo Boss and finish first in Les Sables d&apos;Olonne, France: despite Thomson’s having cut the gap between them to a mere 35 miles. Yesterday Thomson revealed that for several days now he has been battling problems with the wind instruments on his cutting-edge 60ft IMOCA sloop, which in turn have prevented the yacht&apos;s autopilot from working properly. In spite of knocking miles off Le Cléac&apos;h&apos;s lead overnight, he said he had not slept for two days and was now dangerously tired. [Le Cléac&apos;h, runner-up in the past two editions of the Vendée Globe, might now be odds-on favourite to claim his first race win, but he was not taking anything for granted as he prepared to tack and head down the west coast of France to Les Sables. The race mantra of &apos;to finish first, first you have to finish&apos; will be ringing in his ears as he sails into his final night at sea in 74 days. “For the moment I&apos;m holding my own against Alex,” the 39-year-old Breton said, “but the final 24 hours are going to be complicated. I&apos;m going to have to be careful as there are a lot of dangers - we have been seeing fishermen and cargo vessels since yesterday. I&apos;ll be passing the tip of Brittany tonight, then going along the south coast of Brittany. 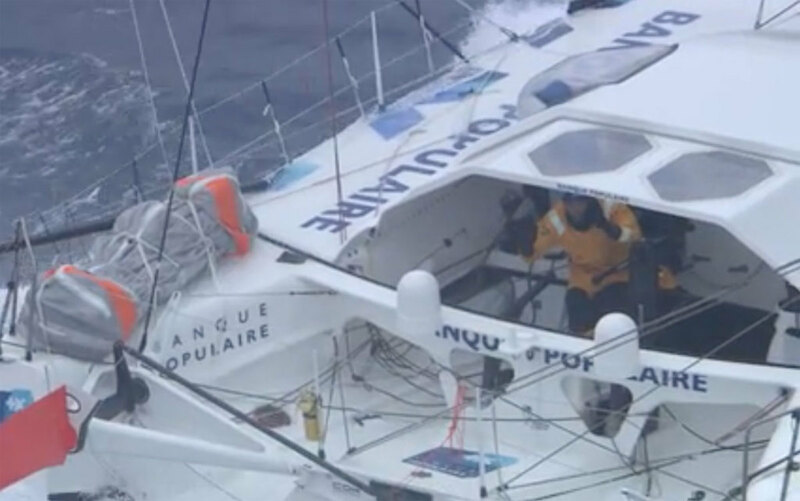 I have to remain cautious to avoid doing anything stupid.” Le Cléac&apos;h is expected to cross the finish line between 1300 and 1900 UTC tomorrow (Thursday), barring any mishaps, with Thomson following suit around four hours later.